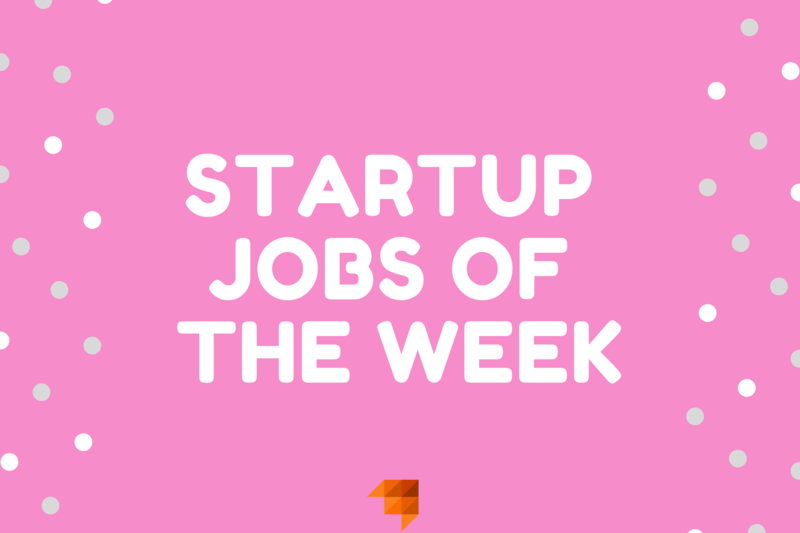 Here’s our favourite startup jobs of the week! LuckyTrip is a leading travel app. It allows you to search by setting your ideal budget and then lists exciting places to visit including; cheapest flights, best destinations and handpicked things to do – all from the click of a button. Their goal is to be the first stop for a new generations of travellers. They’re currently on the hunt for a talented content editor to help bring their trips to life with fun copy and exciting new ideas. They’re a young and small team, who are passionate about what they do. If you’re talented at writing new destinations, travel articles, creating social media content and finding new unique places – this could be your chance to work at one of the most exciting travel startups! They are looking for a new Customer Operations team member to join their London office. You will be the face of their brand, manage the booking process and be able to speak fluent German and English. If you’re tech focussed, driven and are passionate about impacting people’s lives, then this sounds like it could be the role for you! Brighter Spaces is an exciting, young and fresh start-up that’s disrupting the workspace market of the health and wellbeing industry. They provide affordable, comfortable and flexible workspaces for health professionals to rent whenever they want; by the hour, permanently or even part-time. Currently they operate in 3 cities, however they have a long term goal to grow internationally! Brighter Spaces are looking for a Social Media intern to join their social media team. They need to be someone who’s ready to take on a challenging role that comes with a high level of responsibility and are eager to grow their passion in a social media marketing career. If you’re interested in the start up culture and are looking to kick start your career, this internship is a great opportunity for you! Raising Partners joins forces with start-ups to secure private equity funding from Seed to Series A. They have experienced yearly growth since 2016 and have been in profit from day one. They have worked with some of the UK’s fastest growing and exciting startups including Thread, Festicket and Dragon’s Den contestants Poppy’s Picnic. They are looking for an organised and enthusiastic Office Manager & Team Assistant to help run the daily operations of the fundraises they undertake. If you want to join a fast growing team and play an integral role in the business, fully participating in the investment process ensuring functions run smoothly, this could definitely be a role worth exploring further! Popsa is a B2C tech startup that uses data to automatically create personalised prints such as photobooks, calendars, and boxes of prints. Their iOS app is live in 10 languages and they currently ship to 38 countries around the world. Popsa are growing extremely fast and are generating increasingly larger revenues, growing by 60% month-on-month in the last year. For more jobs at many of the UK’s fastest growing & most exciting startups, check out our startup jobs platform here. © 2018 Hired By Startups Ltd. Terms & Conditions. Privacy & Cookies. Contact Us.